We want to be your mobile mechanic. Any where you need your car fixed we can come to you. Have your car fixed at home or even at your job while you work! If your car breaks down, we can come to the location to fix it, generally saving you a towing bill! We are mobile and can still provide nearly all the same services as an auto repair shop. For more details see our services page. We serve the Newton Kansas area, including the nearby communities like Hesston and Walton. Special requests can be made to service customers as far as Wichita, KS. Lindley Harms is the owner / operator. 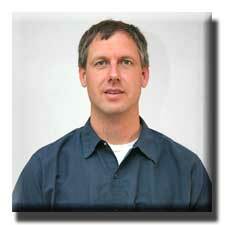 He is a Certified ASE Master Auto Technician with over 10 years of experience. Harms Auto Repair promises to treat you right. We will be honest with you, communicate clearly and complete the job as promised. If you're not happy please talk to us about it. If you are happy please tell your friends about us.